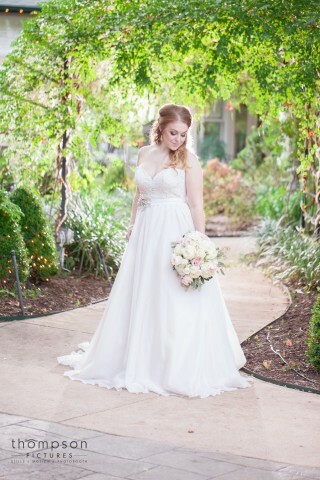 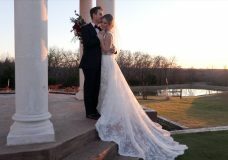 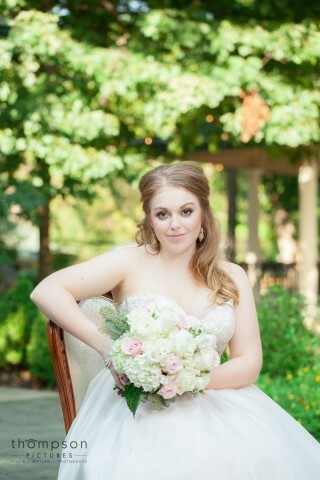 This styled shoot at the Sanford House Inn and Spa located in Downtown Arlington, Texas was beautifully designed by Melanie & Co. 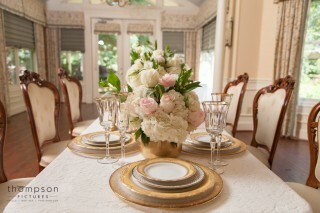 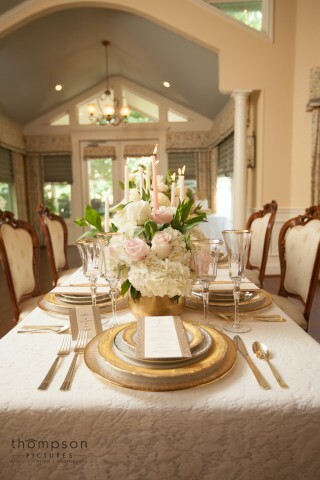 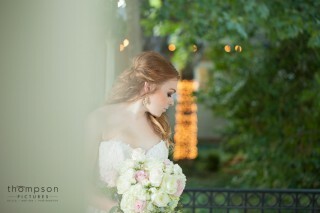 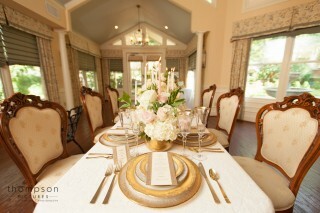 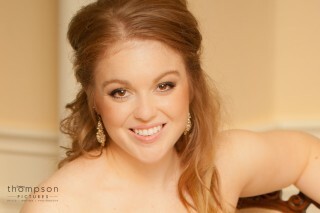 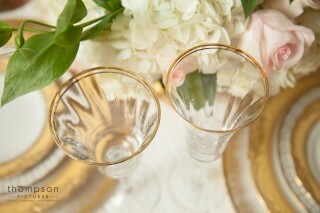 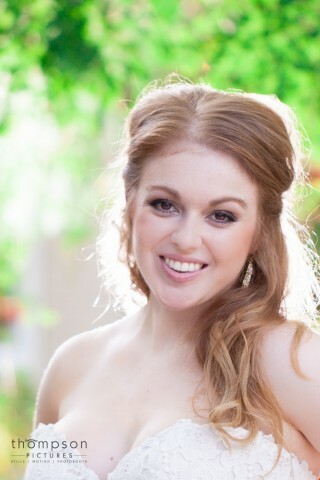 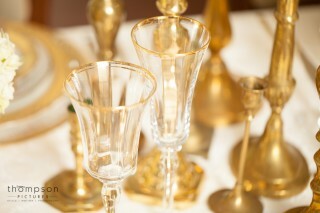 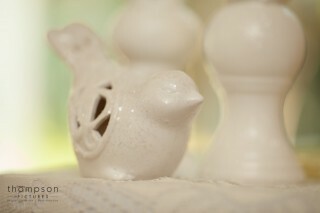 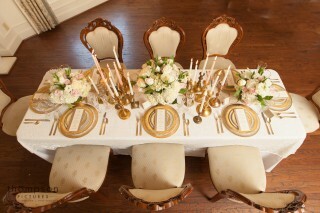 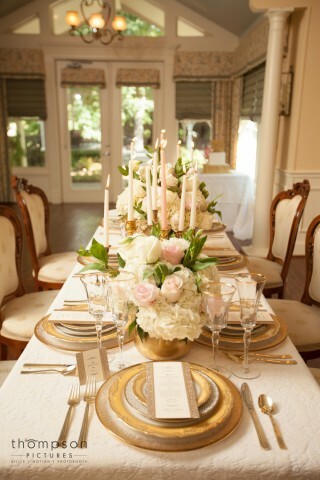 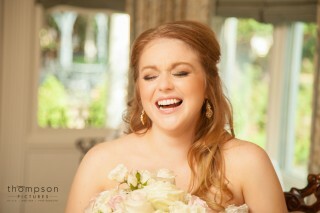 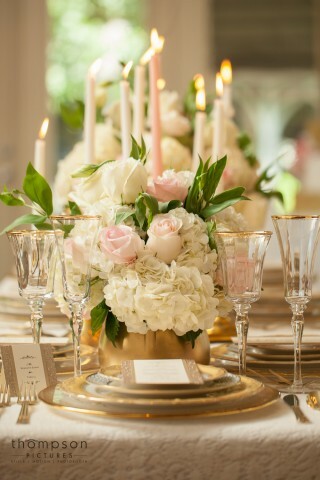 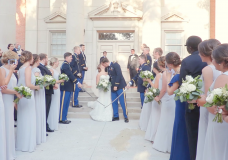 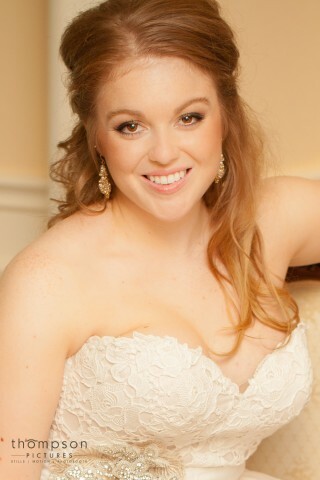 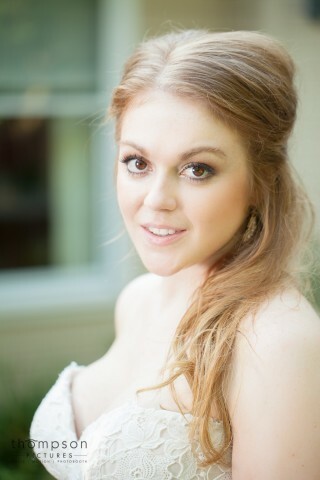 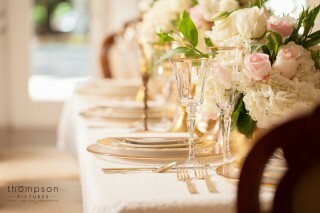 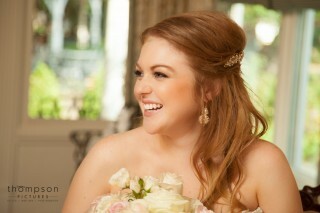 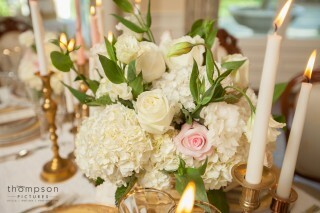 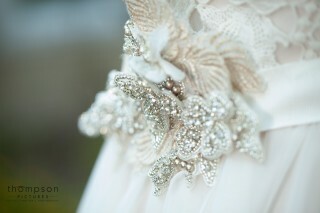 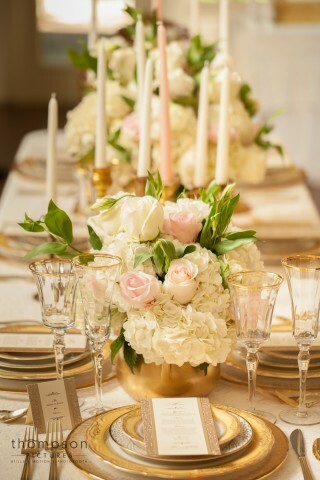 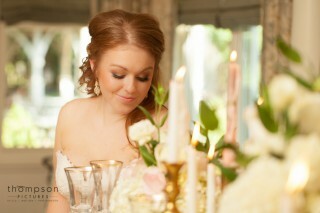 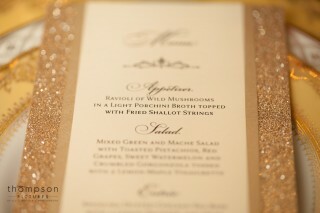 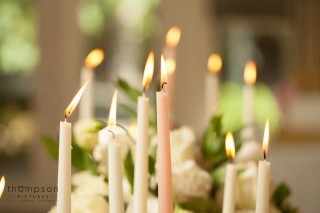 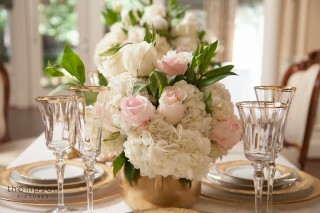 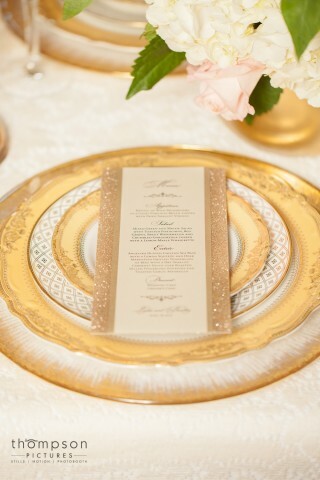 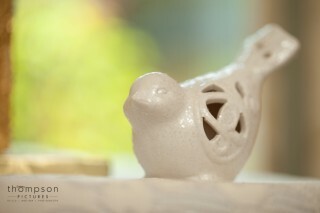 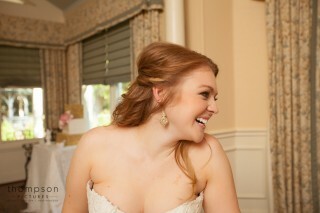 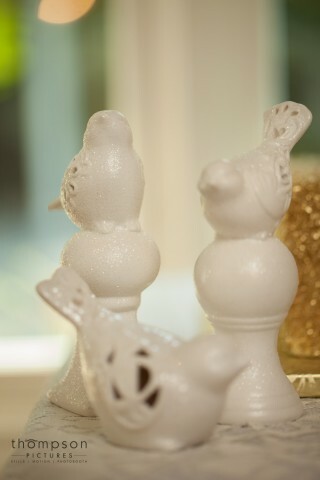 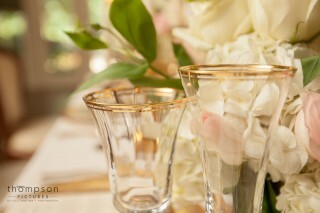 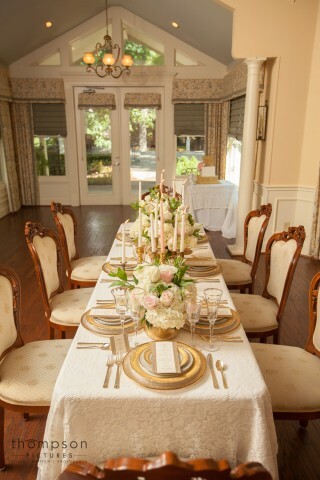 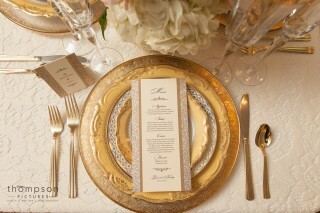 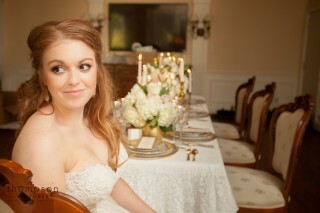 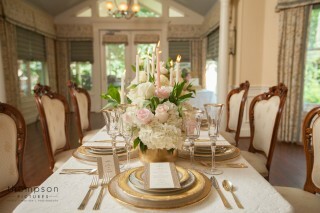 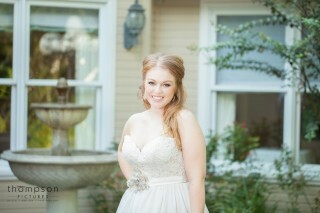 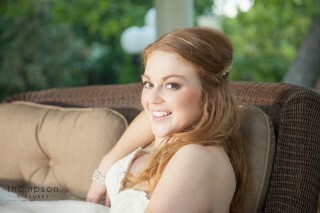 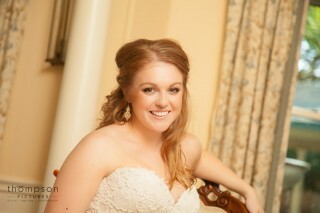 The inspiration was a golden garden party experience. 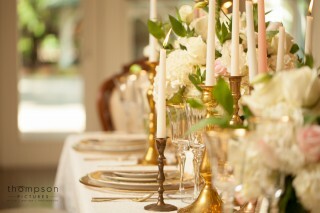 Gold was a huge player in this shoot by being not only in the candlesticks, plates, but even the cake. 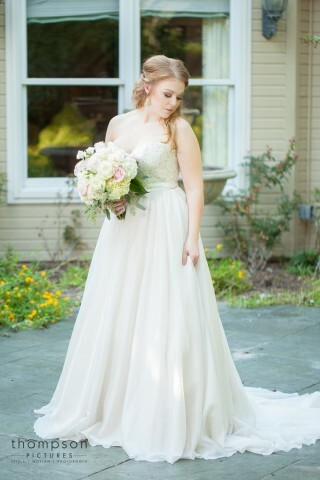 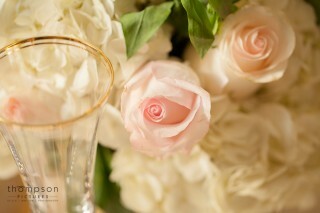 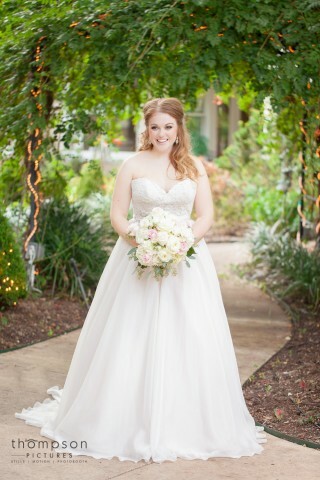 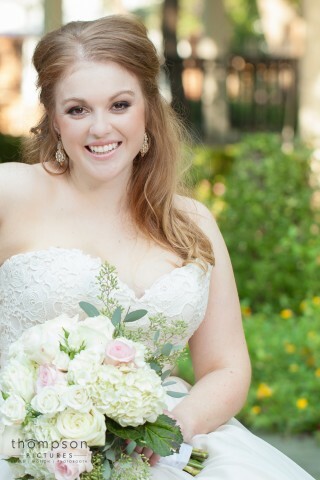 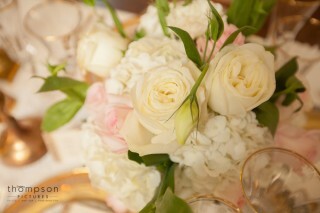 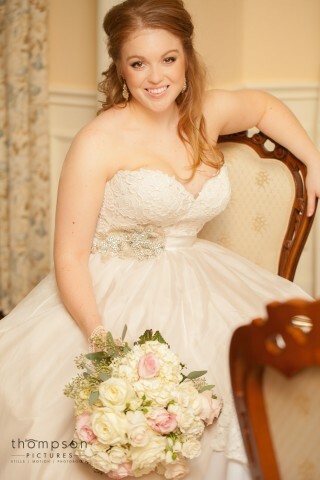 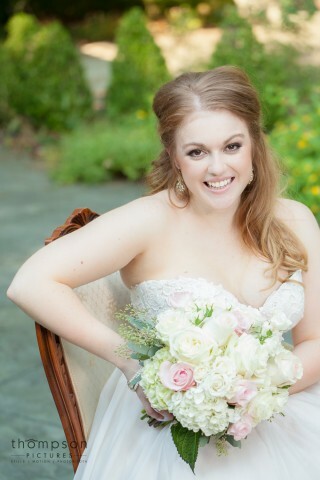 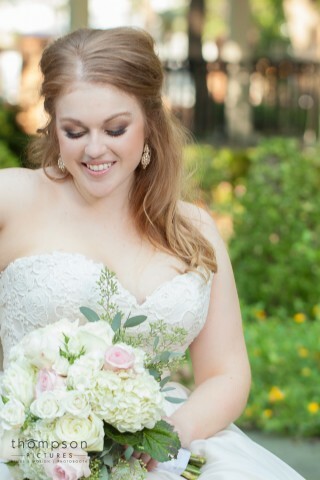 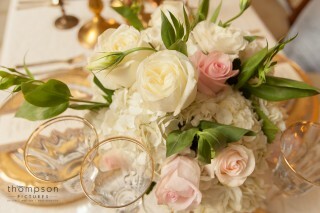 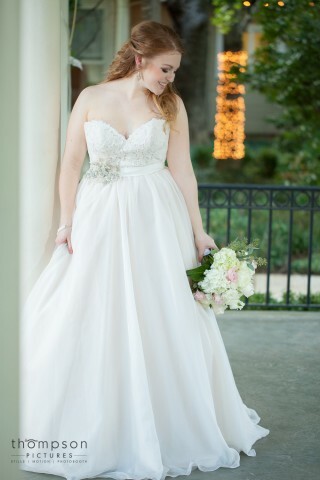 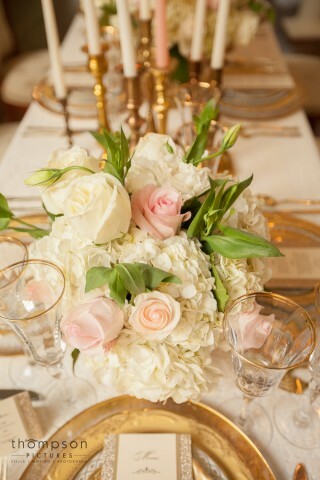 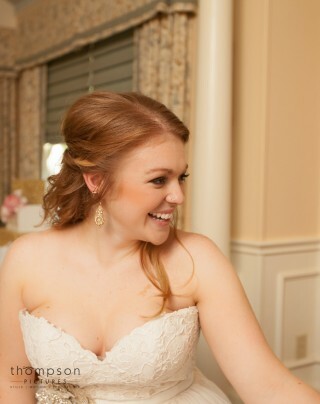 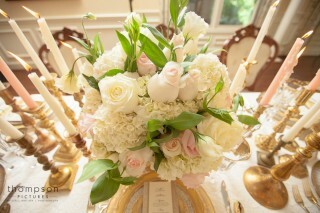 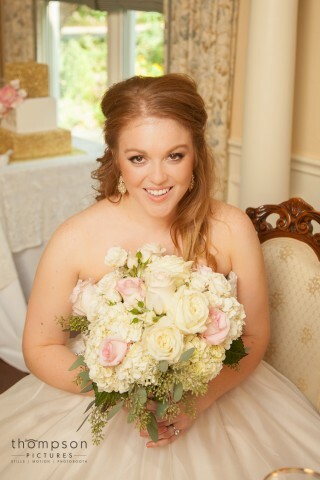 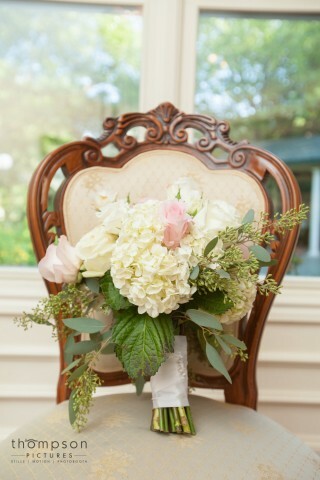 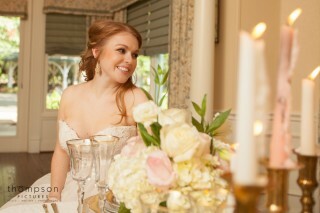 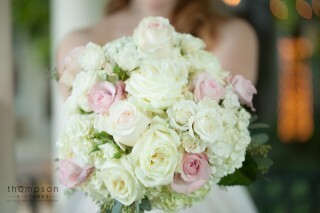 The blush roses were the perfect accent. 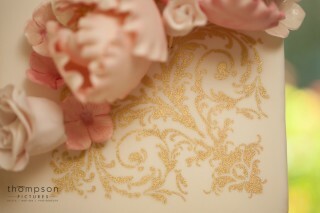 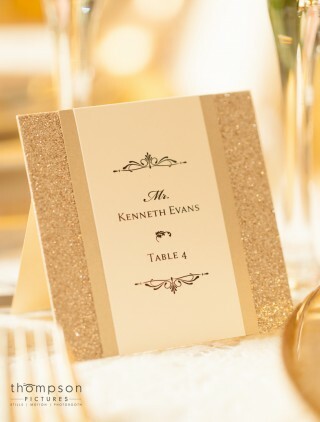 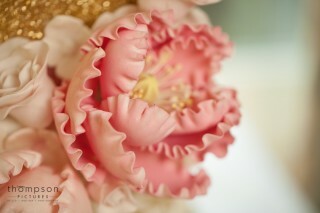 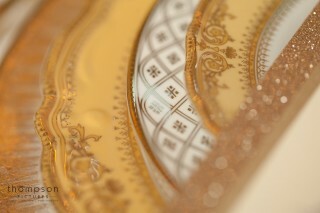 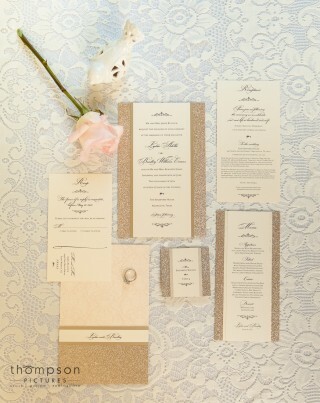 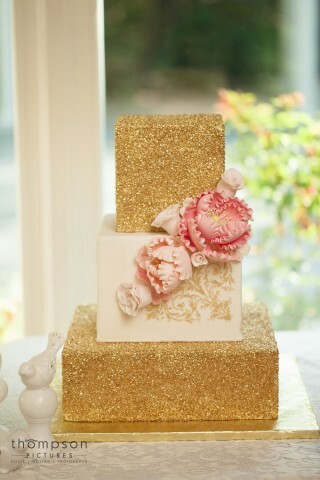 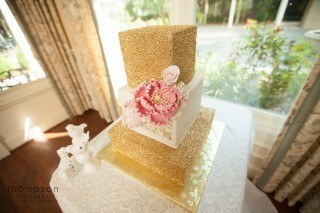 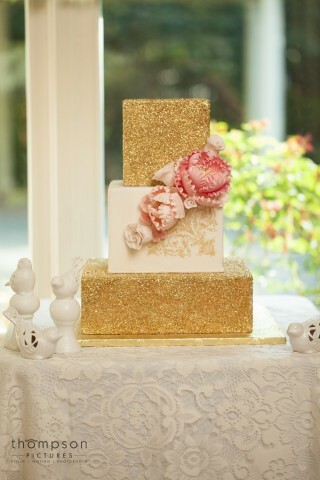 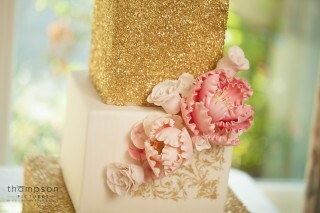 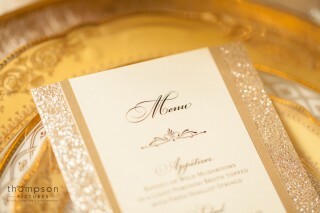 Our favorite part is how the gold is brought to a new level with the glitter accents in the cake and stationery.